Engine Prime is the exclusive DJ software under the hood of the MCX8000 that enables you to perform without a laptop. This amazing software brings you front and center to play your sets with the ability to just use a USB thumb drive. Once installed on your PC/Mac, Engine Prime has many advantages as a music analysis and librarian software, to create your playlists/crates set cue points and analyze your entire music library. You have the advantage of having the best of both worlds, since the MCX8000 is compatible with the latest Serato DJ Pro software and enables you to use 4-channels simultaneously. There is also a DVS upgrade package, giving the MCX8000 unlimited possibilities for DJs wanting traditional ‘vinyl control. In addition, Serato DJ Pro’s new ‘practice mode’ enables you to prepare and practice your DJ sets before connecting to the MCX8000, so you’re always ready for any gig eventuality. Transition between two DJs with ease! There are no interruptions between sets as Engine software enables the DJ to perform with the MCX8000 via USB or Serato DJ Pro while in sync with the vibe. There are two USB ports for flash drives and at the rear of the MCX8000 there is a powered USB port for external hard drive used with Serato DJ Pro. If the worst happens with a dreaded computer crash, Engine Prime’s twin USB channels are your ultimate back-up too. 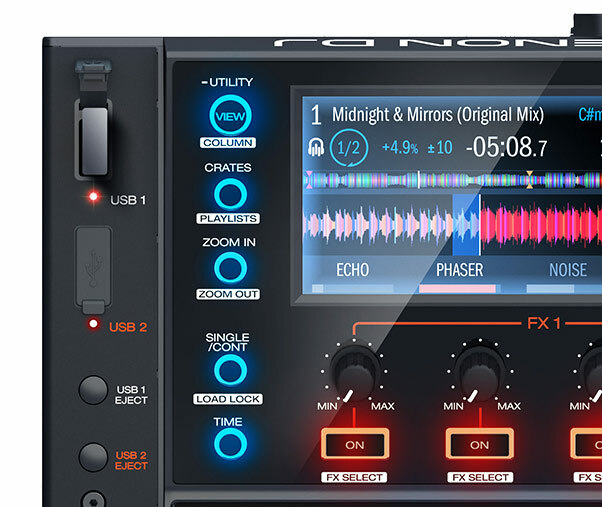 Built with onboard sound effects and a 24-bit pristine sound, the MCX8000 delivers a high-quality controller with XLR outputs for both the DJ booth and PA system. To top off the amazing sound, there are three sound effects built in: echo, phaser and noise. The MCX8000 also brings two dedicated microphone channels, with no compromise of the 4 channel faders – take dual and ultimate control of your mic performance! 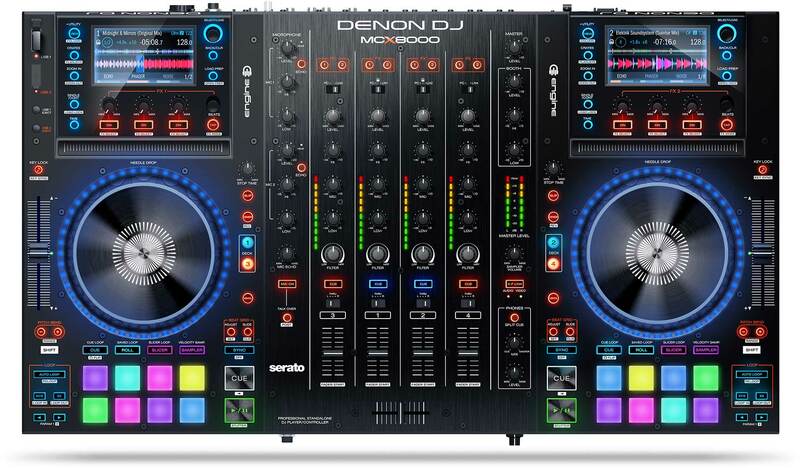 The MCX8000 is the world’s first DJ media player/controller to have its own built-in, independent performance software and which interfaces seamlessly with Serato DJ Pro too. In addition, Engine Prime v 2.1 firmware now brings even more performance capabilities and hardware customization to the MCX8000. Included, are waveform beatgrid display and editing, microphone and USB talkover/attenuation control plus performance enhancing quantized beat-sync too!